What does selfless service really mean? Selfless service means we put your needs ahead of our own, 24 hours a day, 365 days a year. It means listening carefully to you and your experience. Learning about the life of the one who died. Hearing your concerns and desires. Helping you to make funeral arrangements that truly honour your loved one, and you. We consistently go above and beyond what our families expect, to exceed their expectations. For those wishing to be consistent with their faith we are familiar with the funeral traditions of all ethnic groups and faiths, assuring families that all arrangements will be perfectly suitable and appropriate to every religious belief and tradition. We are proud of the close relationship we share with the local clergy, priests, pastors and ministers as we serve the bereaved together. For those whose faith or philosophy lies outside traditional religions we are innovative in creating ceremonies that help with the grief, celebrate the life and honour the life of the individual who died so that those in attendance can honestly say, “That was a good funeral!” After the funeral we remain constantly available to assist each person touched by a death to adjust to their new situation. Full service or traditional funeral services, including visitation and ceremony at our funeral home or another location followed by burial or cremation over a 1, 2 or 3 day period. This sequence can begin several days after the death occurs. When death occurs at a distance, we are able to take care of all arrangements. We simplify things for the family and help avoid the cost of involving two funeral homes. Personalization options such as Memory Candles, Memory Slideshow, Memory Cards, Memory CDs, Memory Books, Memory Tables and more. We are deeply committed to helping families explore all of their options, and the pros and cons of each, so that they may make choices which will satisfy them now and support them in the years to come. has experienced zero pressure to make a choice they did not want or could not afford and has only been encouraged to make practical choices and purchases that they will be able to live with after the funeral is over. 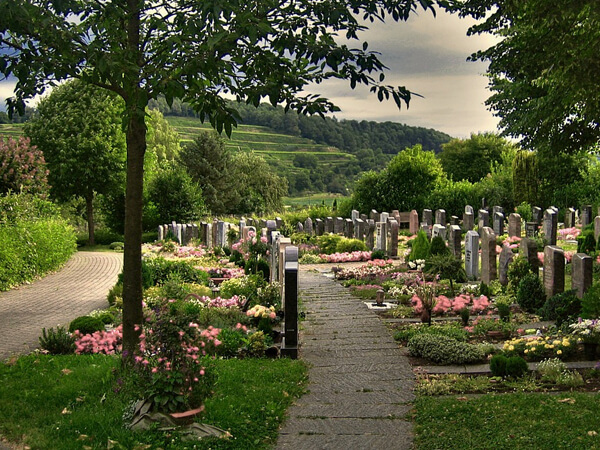 Costs for funeral arrangements are as individual as the choices you make. If you wish information on our service or merchandise costs please contact us. We are pleased to meet with you in our offices or your home. As part of our services we are commited to helping each family investigate and apply for all sources of financial aid including government and private pensions, insurance, veterans benefits, social services assistance, etc. Paul Funeral Home has chosen to offer a wide variety of caskets and urns with the hope that we will provide options for everyone’s budget and everyone’s taste. We confidently offer caskets made here in Ontario by Northern Casket Company and also those made both in Canada, Mexico and the USA by Batesville Casket Company. You are invited to look at all of the products produced by these two companies by visiting their websites. If we do not stock the product you wish we can usually have it or a similar model delivered to our funeral home in time for the arrangements you choose. Preplanning … it means so much to the survivors! Everyone knows that planning ahead makes life easier. Estate planning provides peace of mind for the planner and ease of mind for those who benefit from those plans. This is especially true for those who pre plan their funeral or memorial, burial or cremation service. It is one of the most thoughtful acts a person can do for their family. Preplanning does not take away grief, but it significantly eases the stress for the survivors. We have never heard a family say they wished their relative had not pre planned their funeral. We have only heard families express gratitude that their relative made things so much easier for them. Those who have made their funeral arrangements in advance often take advantage of our available payment options and cost-saving programs. Discounts and monthly payment plans are offered. Prepaid funds are placed in either Trust Certificates or Funeral Insurance as the purchaser chooses. Additionally, prepaying can defer or eliminate tax on the interest earned and lessen the family’s financial stress in the future by paying for services at today’s cost. A prepaid funeral can guarantee that the choices you make and pay for now will not cost your family or your estate more, later. Organizes personal records, gathers vital statistics, and assists in completing all necessary forms and estate matters. We understand that the death of someone you love can be one of life’s most stressful and traumatic events. And we also understand that quite often, a family member might need some extra support in dealing with this type of loss. So we have developed a complete, comprehensive program of aftercare, which assists families well after the funeral services are completed. This important program offers family’s access to grief education seminars, community support groups, counselors, and other organizations that can be of great help to the recently bereaved. Please ask us about this important support system. Families who desire to place a permanent monument for their loved one have trusted us to assist them since 1926. Frequently monuments are placed to mark graves as part of preplanning the funeral in advance of need. There are a number of monument providers available but the Paul family has used, and recommended, Sanderson Monuments (establishedin 1872) to help families choose the grave marker that suits their purposes and their budget. The Sanderson family, now in their seventh generation of service, have created everything from the smallest, simple flat marker to the awe-inspiring Terry Fox Memorial on Highway 17 near Wawa. They can meet your needs in the same way. Please feel free to visit their website encode.com/sanderson/ call their area manager, Mr. Michael Johnston at 705.476.6348, or call us to arrange a meeting in their North Bay showroom, our office or the comfort of your home.